Duck Hunt returns for Super Smash Bros Ultimate. It’s an odd fighter, with a duck and a dog teaming up for long-range attacks and an awesome NES - themed Final Smash. 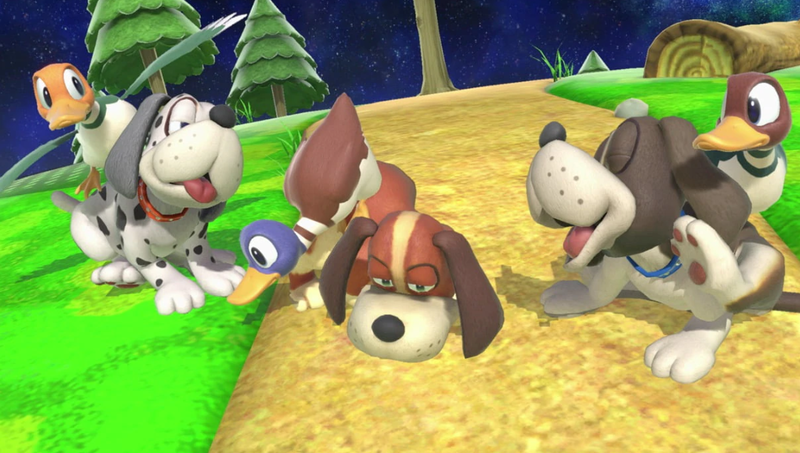 As with all of the returning characters in Super Smash Bros Ultimate, Duck Hunt has gone through some changes since its last appearance. To get you up to speed, we’ve highlighted the changes that have been made in this Super Smash Bros Ultimate Duck Hunt Guide. We’ll also take a look at the Alternate Costumes and Final Smash. Duck Hunt returns for Super Smash Bros Ultimate, having last appeared in SSB4. It’s a seriously weird fighter but can be a lot of fun to use. We’ve detailed everything you need to know about Duck Hunt in this guide. 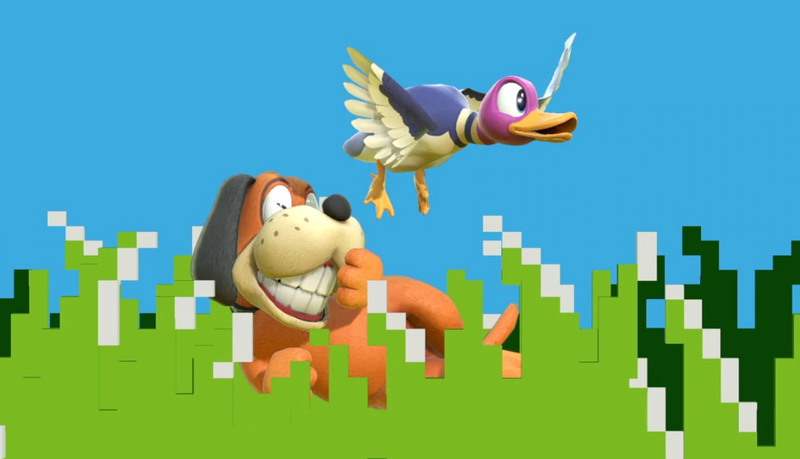 The bird and the dog come in one complete package in Super Smash Bros. Ultimate, although they’re far from the only pair of fighters in the game. 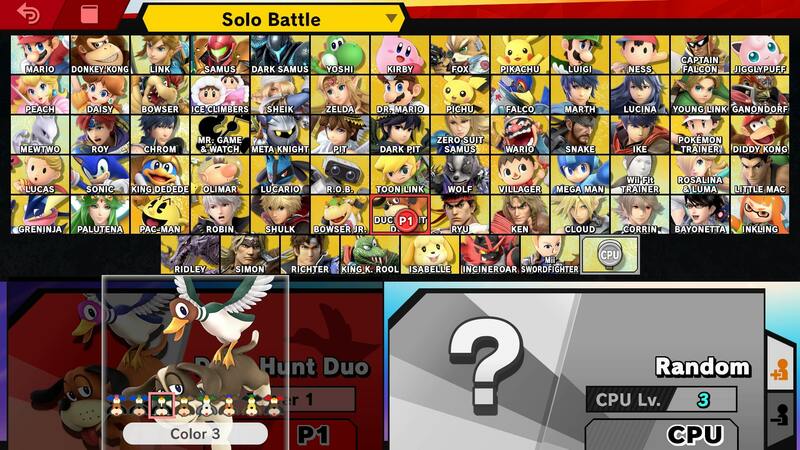 In the table below, you can find a complete moves list for the Duck Hunt duo in the game. Several animations have been altered including jumpsquat, Neutral attack, Forward aerial, and Clay Shooting. Wild Gunman deal more damage. Duck Hunt uses NES Zapper Posse as its Final Smash. It involves summoning several characters from NES Zapper games. The shooter posse lines up and takes out opponents and then knocks them offscreen. That’s everything we know about Duck Hunt in Super Smash Bros Ultimate. We’ll add more info as we learn more about the character. You can head over to our Super Smash Bros Ultimate guide hub in the meantime for more general details on the game, like what the Ridley amiibo looks like, what stages are in the game, and more.